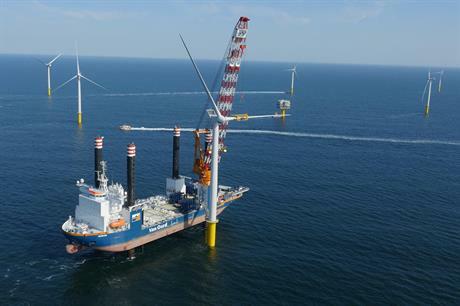 BELGIUM: Japanese conglomerate Mitsubishi Corporation has formed a joint venture with developer Eneco, acquiring a 25% stake in the 370MW Norther offshore wind project. Update 15 December: The developers have reached a final investment decision on the project, confirming the order for 44 MHI Vestas V164 8MW turbines, optimised to 8.4MW output. The joint venture with Eneco has been formed through Mitsubishi's subsidiary Diamond Generating Corporation (DGC). The JV will hold a 50% stake in the project, with the remaining half held be Elicio parent company Nethys. Mitsubishi's involvement in the offshore project is the continuation of a long-term partnership with Eneco. The two firms hold a 50% stake each in the 129MW Luchterduinen offshore wind projct in the Netherlands, completed in 2015. Construction on the Belgian project will begin in January 2017, wih completion due in summer 2019, Mitsubishi said. The project is located 23 kilometres from Belgium's North Sea coast in water depths of 20 metres. It is set to be Belgium's largest offshroe wind project. Eneco and DGC were also part of the consortium to win this week's tender in the Netherland's for the 700MW Borssele III & IV project. The group, with Shell and Van Oord, submitted the winning bid of €54.50/MWh to build the project.